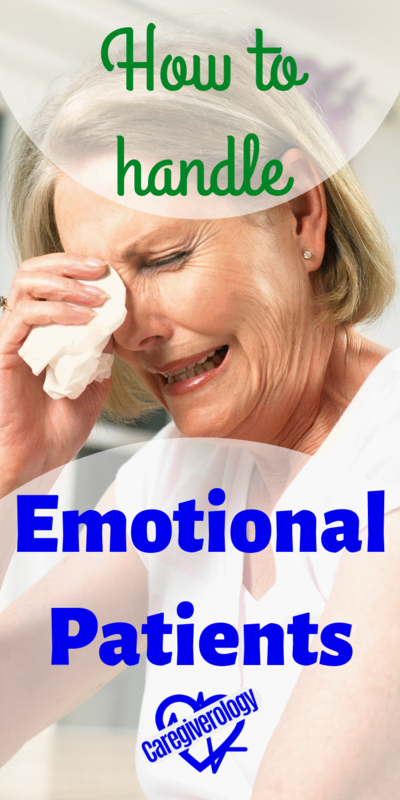 Working as a caregiver, You may often encounter emotional patients. It is impossible to know how to handle every single situation. You don't always know what approach will have the best outcome. Every patient is unique in their own way. You will often encounter patients crying and screaming in agony. Some may be depressed or even suicidal. Others still may become verbally abusive and sometimes even combative. The patient's friends and family members visiting them can often be more emotional than the patient themselves. You have to prepare yourself for situations like these. Keep calm and handle the situation as professionally as possible. When dealing with such strong emotions, things can easily get out of control. Do everything in order to make the situation as controlled as you possibly can. Being really emotional, although the easiest, isn't always the best option. Controlling yourself and staying professional can be difficult at times, especially when your patients are verbally abusive. Regardless, you still have to perform your duties. No matter how well you perform your job, there will be patients who are unappreciative and even rude at times. You can't let such things get you down. 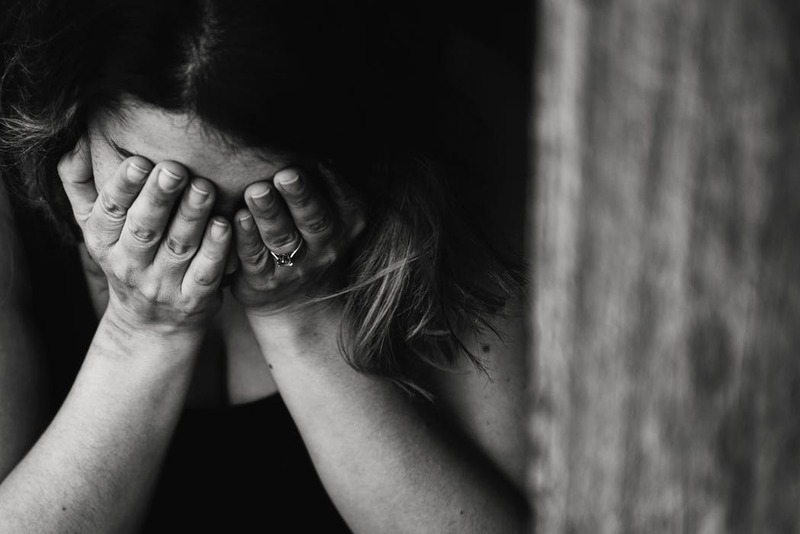 Caregiver depression is a serious issue. You have to understand that it isn't something you did or didn't do, it is often the stress the patient is under at that moment. I have had many patients say hurtful things to me. And yes, some of those things have bothered me from time to time. But after awhile, they sometimes apologize for their actions. People don't always say what they mean when they are under so much stress and pain. They may be under a ton of stress. A hospital or nursing home can be a mysterious and even scary place. I've been in rooms where the patient just found out they had terminal cancer or need a very risky surgery or recently decided to become a DNR. Such things can turn a person's world upside down to the point of having an emotional breakdown. Sometimes there are things you can say that may comfort them while other times it's best to not say anything. Every person and situation is different and there will be times that you won't know what to do and that's okay. Just try your best to stay calm and professional. If you must, excuse yourself away from the patient's presence and attempt to ease your own stress. Take a few deep breaths, take a short walk, read some inspirational quotes, or ask another caregiver to give you some pointers on how to deal with the situation. They may even be able to better assist the patient emotionally. Being a male caregiver, I've encountered situations where the patient felt more comfortable with a female and vise versa. There's nothing wrong with that and the request should be respected. Just know it's not always something personal and they should have the right to chose. What keeps me going is knowing that after each encounter, I contributed to making a difference in others' lives. I may not necessarily save every life. after all, post-mortem care is part of my job description. But I also have the comfort of knowing that everything possible to make that person's life better had been done and I was a part of it. If you show your patients that you care about them, they will appreciate you for it. They may now always show it on the outside, but on the inside they know your intentions. For some of them, you won't win them over no matter what you do. Don't focus on the ones that don't show their appreciation, remember the ones that do. Let that be your motivation.